Our parts department keeps a large stock of service items for most Land Rover and Japanese 4x4 vehicles,from oil filters and air filters to brake pads and shock absorbers. 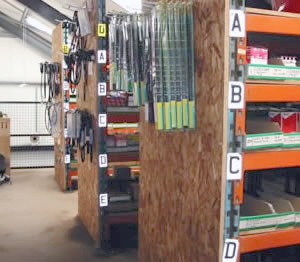 We try to keep every day items on the shelf,for parts such as exhausts,radiators or clutch master cylinders we can usually supply for next day. If there is a part you need for your 4x4 vehicle why not give our parts department a call for price and availability. As an official stockist for MILLERS OILS our parts department carries a large range of oils and lubricants for all applications,from fully synthetic diesel engine oil to fuel treatments and octane boosters.We have full access to Millers Oils technical services so even if we don't carry a certain product we can usually match it.